Hello-Hello! We are in the last days of July. It has totally been a wild month between the heat and thunderstorms! We are at the peak of the heat in the summer harvest, so let’s get on with the news. 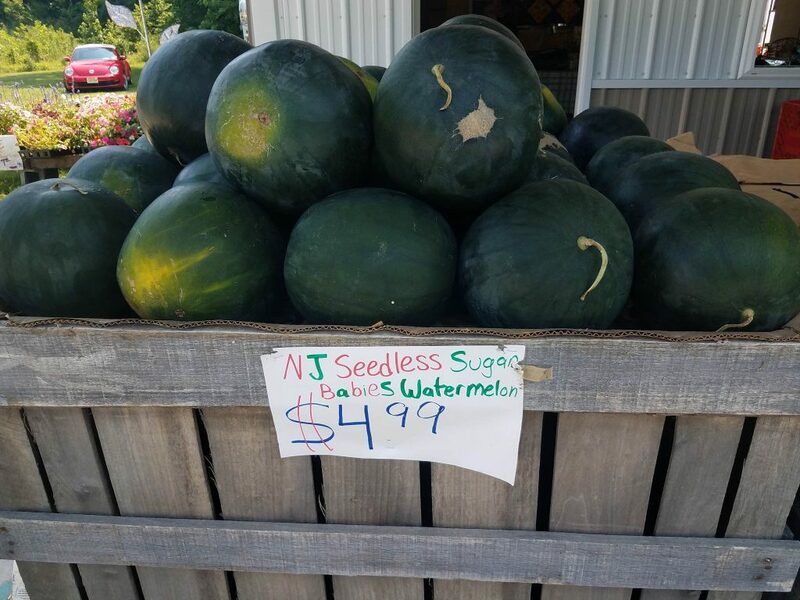 We are highlighting New Jersey Watermelons! 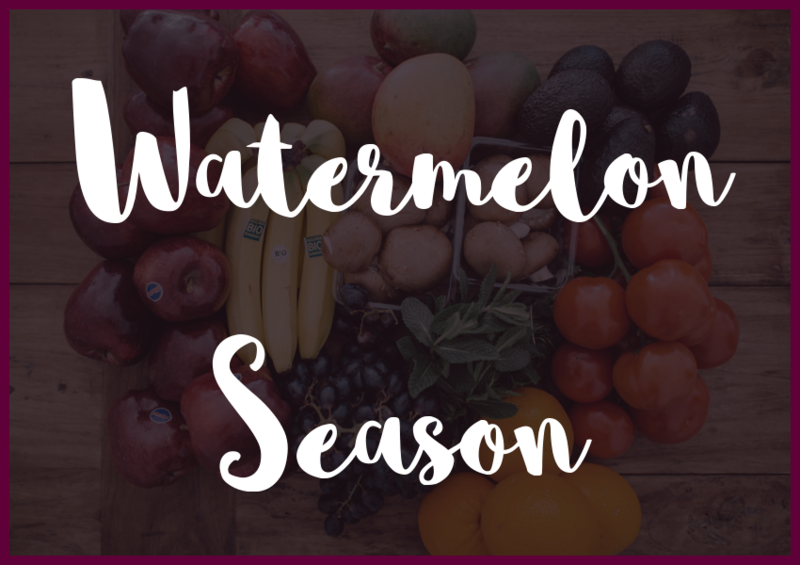 Watermelons are not only sublime, it is super healthy for you. The super high water content makes you not only hydrated but full. It is one of the lowest calories of all fruit. It contains vitamin C, to prevent cell damage. Eating it produces Vitamin A. Watermelon contains compounds that lower the risk of cancer, such as lycopene. This fruit can lower cholesterol and blood pressure, therefore, lowering risk of heart attacks. It is fantastic for those who suffer arthritis because it lowers inflammation and muscle soreness. If it couldn’t do more, it also prevents age-related macular degeneration that affects the eyes. The white Jersey sweet corn from AT Buzby Farm are picked daily and the ears are now large. We have received a lot of feedback and new customers referring their friends to our selection. Jersey tomatoes are still peaking! We have all sorts of shapes for these red gems on our Salem County Darm Market. We also have Roma, Grape, Heirloom, and Green Tomatoes. Peppers are picked daily from our farm. We have Green bell, Cubanella, Long Hots. We have a few more varieties that are not quite ready to be picked, so stay tuned! New Jersey Eggplant is here! We have classic black, Sicilian, Asian-Style, and White! Let’s talk about our New Jersey Yellow Peaches! Totally the market favorite at the moment. Also with our wonderful Watermelon, our Cantaloupe is still going strong and is even sweeter than before!